Divine 9 is the first and only personal lubricant undergoing government-sponsored studies on its ability to provide protection against HPV. Divine 9 is a water-based lubricant made with a unique plant extract that may act as a protective barrier to prevent HPV from attaching to the cells of your body. In addition to all the potential health benefits, the natural sea plant extracts called CarraShield creates a slippery yet intimate feel that will enhance your pleasure. Divine 9 personal lubricant with CarraShield provides an intense skin on skin sensation for the ultimate sensual experience. 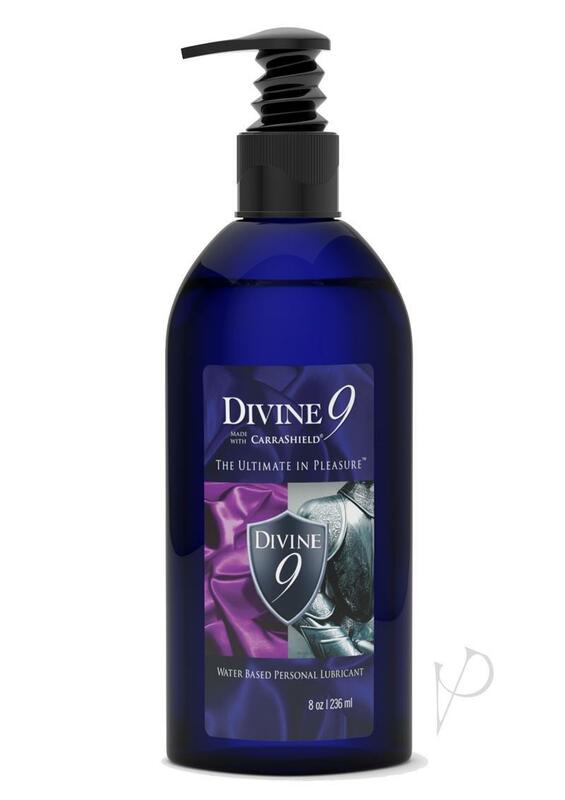 Features: Divine 9 is fragrance, paraben, and glycerin-free, non-staining, long lasting and compatible with latex and polyisoprene condoms. Made with natural ingredients that moisturize your skin and are never irritating. Dries clean without becoming sticky or tacky. Directions: For the ultimate sensual experience, apply the desired amount to intimate areas. Vary your touch to suit your mood. Also excellent for massage. Warning: if irritation or discomfort occurs discontinue use and consult a doctor. This product is not intended to treat, sure, prevent, mitigate or diagnose any disease. Made in the USA.